Toss shrimp with Thai seasonings, heat oil over medium-high heat. Add shrimp. Sauté 2 minutes. Add bell peppers, sauté 2 minutes. Add broth, and fish sauce to the bell peppers, bring to boil. 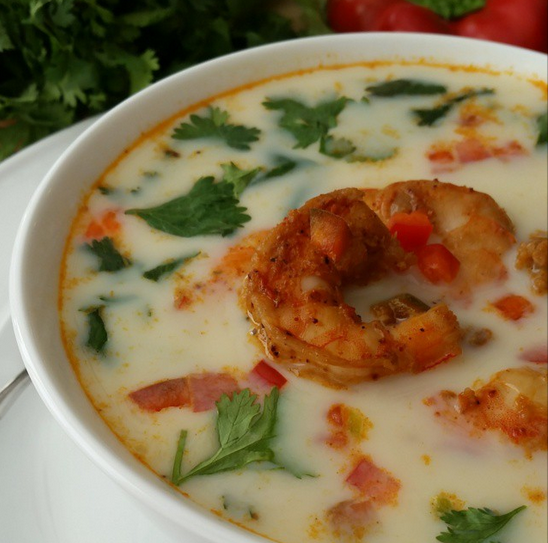 Reduce heat, add coconut milk, & shrimp.